Any local group, regardless of your name or focus, that adheres to a peaceful parenting foundation is welcome to join PPN so that families can connect with you. 1) Your Name; Plus the name of your co-leader(s) if you lead a group together. 2) Your Location/Group Name: The name of your already-existing group or the chapter you wish to start. This must be a city or area based group (ideally not more than a 1 hour radius) so that families are practically able to meet together in person. 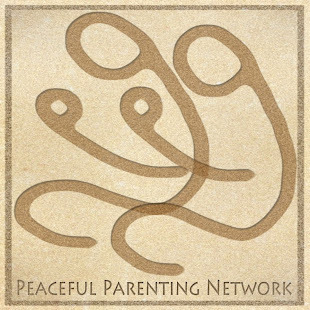 If you are starting a new PPN chapter, and wish to use the Peaceful Parenting name, there will be a minimum two Peaceful Parenting Board Members on your group (and page if you wish to have one). This is for legal purposes to abide by our organizational by-laws. The Board will establish the new group and add you as moderator. If you wish to use any other name for your local group, this requirement is not necessary. Example: Crunchy Mamas of My City, My City Natural Parenting, My City Gentle Parenting, Attachment Parenting My City, Babywearing in My City, Breastfeeding Moms of My City, My City Primal Parenting, etc. If you are requesting to add an already existing group, please include your group's URL (your Meet-up, site, Facebook group, etc. where locals can find you). Not all groups within PPN are general parenting groups -- some focus on babywearing, breastfeeding, schooling, natural living, etc. Any groups that adhere to Peaceful Parenting foundations, and meet locally, can join as part of PPN. 3) Your personal Facebook profile URL if you are on Facebook and would like to be added to the private group of PPN chapter leaders. Note: Your group site/meet-up location (where information is exchanged and events planned) can be any website, Meet-Up page, Facebook group, etc. We have found that Facebook *groups* (not public pages) are ideal for connecting local families due to their privacy settings, ease of use, and being free of charge, but any format you choose is fine. 4) Your reasons for adding a PPN chapter in your area. 5) Your position statement on breastfeeding and providing human milk for human babies when possible (including mother-to-mother milksharing), as well as full term breastfeeding/natural weaning. 6) Your position statement on genital autonomy. 8) Your position statement on gentle discipline. We hold chapter leaders to a higher standard of integrity and understanding of baby-friendly care. The purpose of PPN chapters is not to be another run-of-the-mill mommy play group. Rather, PPN chapters are meant to fill the void for parents genuinely striving to live in a mother/baby and child-friendly manner - to join together in community with others on the same page, and be empowered by going through life together. There may be parents whose children were artificially fed, but PPN supports the goal of accessing human milk for human babies whenever possible in the future, and helping mothers to find breastfeeding support, and milk donations when breastfeeding is not an option. There may be parents whose children were circumcised before they had accurate information or support in listening to their own protective instincts. However, "when we know better, we can do better." Keeping future sons intact and gentle education based in valid research is key. The future, and what we do with our time, and our little ones, from here on out matters much more than the past. There may be parents who have attempted cry-it-out and sleep training methods in the past, but there is a basic understanding that to parent peacefully means to mother and father our little ones in ways that lead to their optimal health and wellbeing. To meet their needs, and read their cues, and respond in age-appropriate ways is vital. There may be parents who come to PPN who are breaking free from a cycle of physical and hurtful punishment in the home. PPN support gentle discipline and discussing ways in which we can respectfully respond to children's needs at an age-appropriate level. We are of different nationalities, ages, ethnicities, sizes, sexes, genders. We come from different backgrounds, belong to different religions, adhere to different faiths. We are from a wide range of socioeconomic backgrounds. Our families vary greatly in size and make up. We eat different foods, dress in different styles. We care deeply about making fully informed decisions, and parenting in a manner that is in tune with our nature as human beings, and at the bare root, as mammals. We do no intentional harm. Some call it "natural family living," others say it is "holistic living." We may be called "AP" or "crunchy." At the foundation of it all, we are gentle parenting adults striving to make a difference in our world, and our lives, by making a difference in the lives of our little ones and those around us. For further reading on this subject, and to consider whether or not a Peaceful Parenting Network chapter is right for you, visit the links in the Peaceful Parenting tab above.